The West Duke Building contained the college barbershop, bookstore, post office, and held a theater in the basement. The psychology (and parapsychology) departments were located on the 2nd floor after 1935. 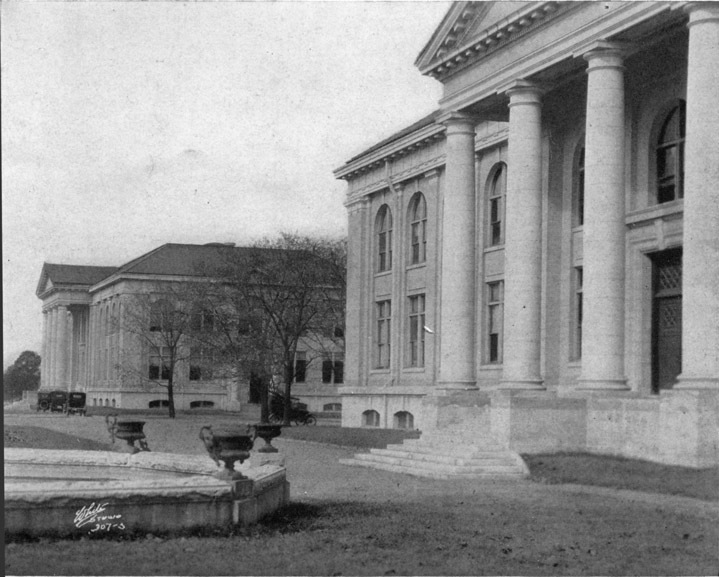 The East and West Duke Buildings were under design before the Washington Duke Building burned in 1911; the plan was already being developed to demolish Old Main and replace it with two new academic and administrative buildings. 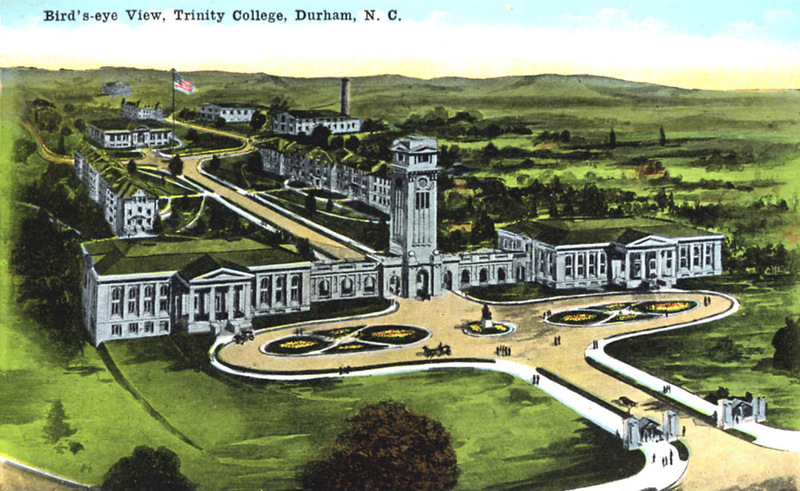 The East and West Duke Buildings would also shift the main entry of the campus to align with the central axis of the original racetrack, and the three buildings within that oval: Craven, the LIbrary, and Alspaugh. As is clear from the drawing above, the original plan was to build a connecting colonnade walkway between the buildings with a central tower - it appears that vehicles would pass through arched openings beneath the tower. Why the tower and connecting walkway weren't built isn't clear - practicality and money probably had some influence on the decision. East Duke served as the administration building for Trinity College and, later, for the Women's College. The West Duke Building contained the college barbershop, bookstore, post office, and held a theater in the basement. 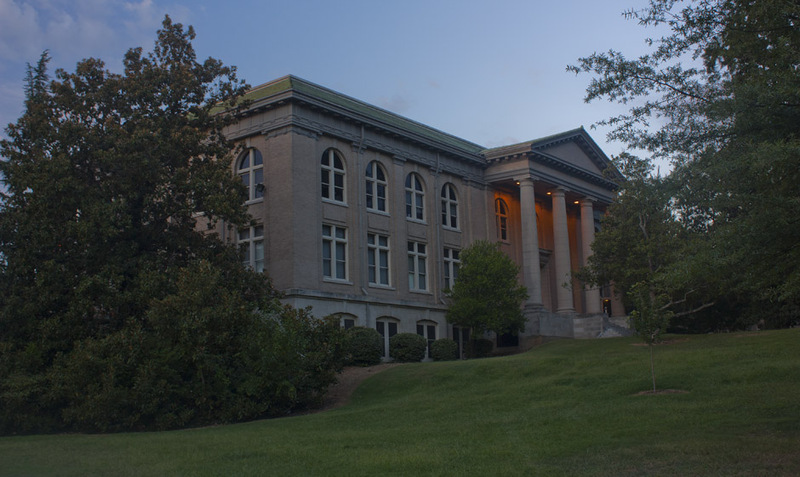 The psychology (and parapsychology) departments were located on the 2nd floor after 1935.